In The Weight of Glory, in a chapter based on a lecture called “The Inner Ring”, C.S. 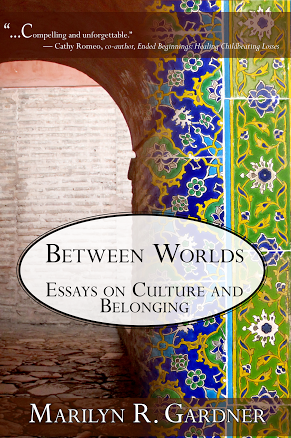 Lewis takes a profound look at belonging, specifically at our desire to belong. The Inner Ring is that elusive place of belonging that is just beyond our reach, just past our grasp. Because once we have reached that inner ring and we begin to settle and think we’ve finally found a place to belong, we realize there is a ring beyond that —and once we’ve gotten to that ring, there’s a ring beyond that still. It is a never-ending quest. I write about this in Between Worlds, but just writing about something doesn’t take it away. This struggle to belong is human, hard, and never-ending. We are born to belong. A number of years ago, my husband was dropping off my son at a birthday party. Another kid from the class was in the car as he and my son had worked on a class project that morning. When my husband made the plan to drive him home, it made sense that he would combine the trips. We assumed that the birthday party would just have a couple of kids at it. When they arrived at the house where the birthday party was being held, a huge crowd of boys descended on the car welcoming our son. In fact, it appeared the entire class had been invited except for the boy in our car. The boy was crushed. We unwittingly participated in a kid realizing he had been left out, realizing he was not invited to that particular inner ring. It was completely accidental, but it still happened. If we’re honest we will admit that we all know what it feels like. The stomach-knotting knowledge that we weren’t invited, that we don’t belong. Our first memories of being left out can be as simple, yet painful, as not being invited to a birthday party or as complicated as becoming a part of a blended family, where suddenly we realize the family we thought we belonged to no longer exists. The desire to belong and the feelings that arise when we realize we don’t are part of the human dilemma. In elementary school that inner ring and quest to belong is the group of girls that excludes us. They are a part of Something Special and we don’t belong. It’s that group in middle school that get together every Friday night and we’re not invited, that group in high school that bears the name and reputation ‘cool’ and no matter how hard we try, we do not know cool. Though we would like it to stop there, it often continues. It’s college, then young adulthood, then work and getting into that inner, secure, exclusive place. It’s church and those people who are in that inner circle, the circle that seems so godly and confident, the one that we wish we belonged to. And yet when we get close, there’s something beyond that circle, just out of our grasp. We constantly look to that place of belonging, the inner ring that seems so secure, that tells us we have ‘arrived, yet it continually eludes us. Third culture kids can find this particularly difficult as they straddle many worlds and places. Each place has its own inner ring, each group its own rules. We don’t belong to our passport countries; nor do we fully belong to those other countries where we leave pieces of our lives. Keeping parts of ourselves hidden becomes a necessity because explaining is too difficult. And yet, it is such a gift. To be able to know what it is to be other in our world of massive displacement is nothing less than a gift. A strange gift perhaps, but a gift nonetheless. The only way to break this cycle of the inner ring is to embrace the gift of not belonging. This echoes Lewis’ response to the “Inner Ring” dilemma. “The quest of the Inner Ring will break your hearts unless you break it.” If we break this cycle, we may still find ourselves on the outside, but it will no longer be a burden, we will no longer wear ourselves out by trying so hard to make it inside. Instead we will find a place, sometimes in the most unlikely of circles. I have slowly come to this place. I don’t even really know when I first realized that I was no longer striving to be part of the inner ring and I wish it had not taken so long. Somehow the quest to belong, that burden on my back since boarding school days of popular groups and cliques, has slowly but steadily been broken. In some mysterious and completely inexplicable way, I belong. To be sure there are days when I find myself wandering back to the place of inner rings and the quest to belong. But as I begin to try to worm my way into those rings, something always stops me. I remember what it was to strive so hard that I lost my way. I remember that knowing what it is to not belong brings understanding and eyes to see the one at the edges, the one on the margins who sits in the shadows, aching to belong. A voice inside reminds me that my identity is in something so much bigger and greater than any inner ring. It’s in the knowledge that I am loved by God, created to reflect his glory until all inner rings have faded and time stretches into eternity. Thinking of a graduation gift for TCKs? Worlds Apart: A Third Culture Kid’s Journey may be a good option! Like seasons and birthdays, our comings and goings were a normal part of our lives. When we reached adulthood, we would meet others who had never moved and we would be amazed. On the surface, we felt arrogant – “look at us, we’ve been everywhere” was our silent thought that shouted loudly in our attitudes. But just below the surface, we longed for weekly family dinners and shopping trips with moms or sisters; for fights that were resolved because they had to be; and for tight family units that stuck together through the years. While we were roaming the globe collecting stories through the stamps on our passports, others were creating homes and building lives. Each choice came with both joys and challenges. And then if we did settle down, we felt the guilt of stability and wondered how our lives had become so predictable and so mundane. We made the mistake of equating stability with stagnancy. And in all this, the seasons still came and left, and in between we continued to live. I can picture the scene as if it was yesterday. I am lying on the top bunk in my dormitory. The louvered windows allow a mountain breeze to come through and the sun shines brightly through pine trees. It is springtime in Murree and I am seven years old. In the distance I hear the sound of musical scales in major and minor keys being played on old pianos, slightly tinny and out of tune. The players are disciplined, but clearly young with limited skills. Pungent smells waft through windows from the large kitchen two floors below alerting me that today our lunch will be curry and rice. The sounds of Urdu, Punjabi, and English meld together, a kaleidoscope of diversity unrealized until I am older. As the memory returns, I close my eyes and I am completely content. Two distinct places come to mind when I think of the place and concept of ‘home.’ The first is that of several different cities where my parents lived in Pakistan during my childhood. The second place is the more constant: My boarding school near the town of Jhika Gali, nestled in the foothills of the Himalayan range of mountains in the country of Pakistan. My memories are strong of the place that shaped me, that formed me into who I am today. I was six years old when I first went to boarding school. I could barely tie my shoelaces; much less navigate the sometimes cruel environment of an institutional setting. But it was in the institutional halls of boarding school where I encountered the God who I would grow to love. For three months at a time, I would share a bedroom with seven roommates supervised by a housemother struggling to meet the needs of 20 to 30 little children. Children, who needed to eat, brush their teeth, bathe, dress, study, and sleep. Along with the practical needs were the emotional and spiritual needs. These are the unseen needs that satisfy the deepest of human longings; namely love and belonging. It was a seemingly impossible task, but we would not know this until much later in our lives. The first night away from home, I was always exhausted and sleep came quickly. I woke early in the morning, disoriented and unsure of where I was. When I remembered, the blur and taste of hot, salty tears clouded my vision and lingered on my tongue. I dared not show my tears; it was not safe. We were all small, all facing separation and loss, all experiencing the first of many times of homesickness. We were surrounded by others as young as we were, by others with the same tears and fears, the same deep sense of loss. No one heard or saw my tears; instead, they fell silently, invisibly. Soon others would wake, and happy chatter would overshadow the sad. We were already a family of sorts, complete with the aunts and uncles who served as our dorm parents. But each time I entered boarding school, the early morning scene would repeat itself, from the time I was six until the day I graduated from high school. A cold, metal-framed bunk bed and the living God were my only witnesses. The one captured my tears, the other comforted them.In that tiny, private bunk bed space my first fervent prayers for comfort went up to an unseen God in a Heaven that seemed far away, and I experienced his comfort and presence. It was in a bunk bed that this unseen God responded, an invisible hand reaching out to comfort a little girl far from her parents who held fast to a stuffed animal. My boarding school years are long past and, like many others who grew up globally, many places in the world have become home for a time. Indeed, for me a recurring life-theme has been on place and home. But those early memories of boarding school still evoke in me tears and a deep sense of gratitude. There have been many places where my faith grew, where I met the big and hard questions of life. One of those places was surely a boarding school bunk bed, an icon of sorts, a solid witness to a faith that is written on my heart by God’s hand. 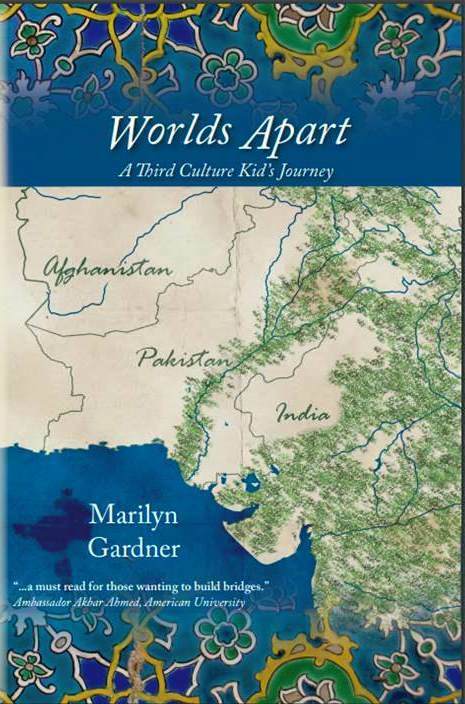 Worlds Apart: A Third Culture Kid’s Journey is now available wherever they sell books! I do the same, as if I am looking to the person I am talking with to affirm the answer. That’s what happens when you’ve lived in over 29 houses on three continents. You answer the question with a question mark. Just as the “where are you from” question brings out feelings of ambiguity and confusion, so does the “where is home” question. As I read Osman’s words, I think about what my own words would be. I craft them, because just writing them down helps to change that last syllable from a question mark to a definitive answer. Home is not an answer to a question. It is the dusty roads and Bougainvillea laden home in Pakistan. It is the winding road taking me to my boarding school in the foothills of the Himalayan mountain range. It is the sound of a train, and vendors shouting “Chai, Chai, Garam Chai!” It is the busy streets of Cairo and the memories of a fifth floor walk up flat, the sounds of men yelling that they have molasses for sale on the street below. It is the sunsets in Phoenix that evoke the deepest longing and the deepest joy. It is the color and stories of Central Square in Cambridge and our porch on Newton Street with the smell of homemade bread drifting from the kitchen. It is the vibrant colors of icons and the beautiful chants from Divine Liturgy. Each place has stories and memories of home. I realize in writing that I no longer mind the question. I no longer hate the ambiguity. Instead I realize that it is a gift. The syllable of desire has changed to a syllable of hope. Note: Just as the “I’m from” story can be helpful in our narrative so can writing down what home is to you. If you choose to do this, I would love to publish some of them. Please contact me through the comments or a private message at communicatingblog(at)gmail(dot)com. About a Book….aka Kill Those Darlings! Some of you may remember a big announcement last year. It was about a book. A book that I was so excited about. I talked about it on the blog and on social media sites. I had a book reading and signing. But something just wasn’t right. That book, that precious book where I let my childhood memories in all their vulnerability out into the world, did not sell. Meanwhile, my previous book kept on selling. I couldn’t figure it out. It was so defeating and so depressing. I had been writing that book for eight years. What happened? Why was it so poorly received? I didn’t talk to anyone about it, because when you love writing and you want people to receive your words….well you don’t talk about the hard stuff. Right after the book came out I had major surgery. While I had hoped to spend my recuperating days writing, instead I ended up just healing. It was the hardest and most humbling work I’ve ever done, and it was a fulltime job. Soon after that, I realized that my dad was entering into his final illness. I needed to spend as much time as I was able with my mom and dad, which is never enough time. He died in October, and soon after that, some of the stuff you never talk about on a blog happened. And the book got lost in all of the stuff that was happening. But I would still think about this book. Why on earth did I write it? What did I expect? Dear friends from Pakistan were writing me regularly telling me they would never read the book. It was just too hard for them. So what was it for anyway? My friend is Israeli and Jewish – in other words, we come from different countries and different faiths, but she loved the book. Her words took root in my heart. It was in early winter that Doorlight Publications reached out to me. They wanted to reprint the book. It wasn’t selling well. What did I think about retitling the book and adding a foreword as well as a section that would take the reader from reading about my story to writing about their own journey? There is a phrase in the writing world that talks about killing your darlings. In other words, the things that you hold onto the most in writing sometimes need to be killed off, taken out, severed from the body of the book. The title was my darling. I so wanted ‘Pakistan’ to be in the title. And it seemed to make sense that I would put faith in it. But it narrowed the focus of the book too much. The book was my journey through my developmental years in Pakistan and included so much more than Pakistan and faith. Would I be willing to kill my darling? I would, and I did. Just last week the book was re-released under the title Worlds Apart: A Third Culture Kid’s Journey. I love it. I love the cover. I love the foreword by Rachel Pieh Jones, who is writing her own book to be released in 2019 by Plough Publishing. I love the ‘Mapping Your TCK Journey’ at the end, followed by book resources. And I’m excited for this new start. You don’t always get another chance with a book, but I did with this one. So would you give it a chance? Would you consider buying the book? I would love it if you did! I would love to have you purchase the book! It’s on sale through Amazon and available wherever books are sold. We are just back from an amazing trip to visit our son in Thessaloniki, Greece, followed by a conference called Families in Global Transition that encouraged and inspired us. My heart and brain are full. Being able to be with our son, see his surroundings, meet his friends and absorb the beauty of Thessaloniki was a gift. At one point we stood in a monastery courtyard on a hilltop overlooking the city. A peacock was in front of us, his feathers fanned in a display of turquoise glory, and I thought “I can’t believe I get to be here!” It was a moment of sheer awe and grateful delight. We left Greece to attend the conference in The Hague, and our world quickly changed from the sun and beauty of Thessaloniki to the busy conference schedule. But this conference is like none other. It is a group of people from all over the world, their stories as varied as their nationalities and ethnicities. We talked for hours and heard fun stories, frustrating stories, and difficult stories of belonging and living where you don’t feel you belong. The conference ended with a panel discussion from millennial third culture kids, a chance to hear from those emerging voices. I’ve gathered some quotes for you here to give you a taste of the wisdom and beauty of the conference. Some are verbatim, and some I paraphrased as I was trying to write at the same time as listening as intently as I could. Please know this is a fraction of what transpired at the conference, but it captures at least a bit of the atmosphere. “If you see your parents deal with their stuff, you’ll have permission to deal with your stuff.” Solid advice for parents from millennial third culture kids. And the one that hit me the hardest…. There are so many more rich, beautiful quotes, but this gives you a taste of the amazing voices at the conference. It also reminds me that we need to share our words, tell our stories, because when we do we find community and connection. Indeed, in our increasingly divided world, we can’t afford not to. Note-wherever possible I have attributed the quote to the correct person, but there are a few that I jotted down so quickly that I forgot who it was. I apologize for that oversight! Now Available and on sale today! Worlds Apart: A Third Culture Kid’s Journey “…a must read for those wanting to build bridges.” Ambassador Akbar Ahmed, American University, Washington, D.C.
Portions of this book were previously released under Passages Through Pakistan.